is the only university-owned commercial television station and major network affiliate in the United States that uses its newsroom as a working lab for students. It reaches 40,000 homes in 15 mid-Missouri counties. KOMU is affiliated with both NBC and CNN. For more information, visit the KOMU website. Recognized throughout the journalism profession as the premiere training ground for television reporters and producers, KOMU’s newsroom creates a real-life lab experience for students attending the Missouri School of Journalism. 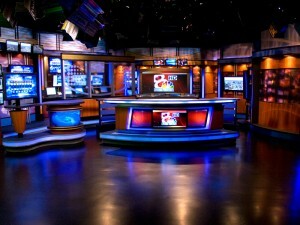 The news station also works to bring mid-Missouri the best news coverage and has received numerous awards for its on-air news coverage. Journalism students working at KOMU use state-of-the-art equipment, a new all-digital control room and multiple live-remote mobile units. KOMU has restructured its Internet presence with video stream of local news stories.